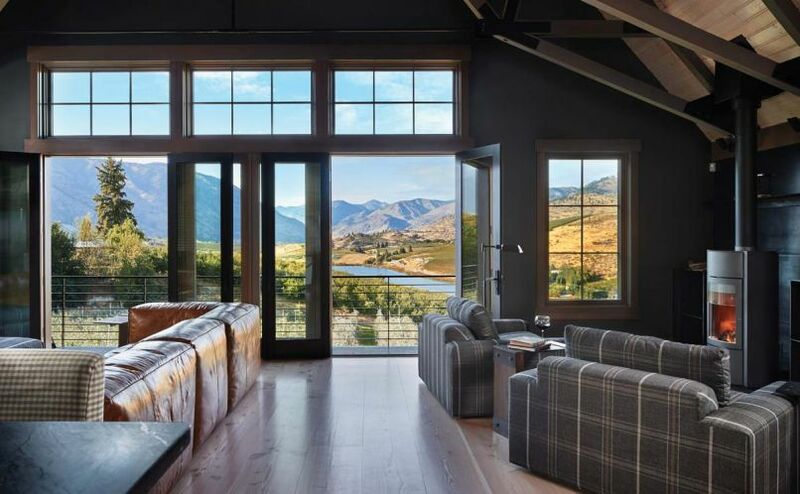 The great room of Tracey and Charlie Brown's barn home opens onto vistas of Lake Chelan. The Stûv wood burning stove warms the great room; 16” to 18” wide Dinesen flooring is fabricated from old growth Douglas fir. First envisioned as an imposing red metal barn, the new design blends better with the rolling hills surrounding the Lake Chelan countryside. Homeowner Tracey Brown had been taking pictures of barns all her life. 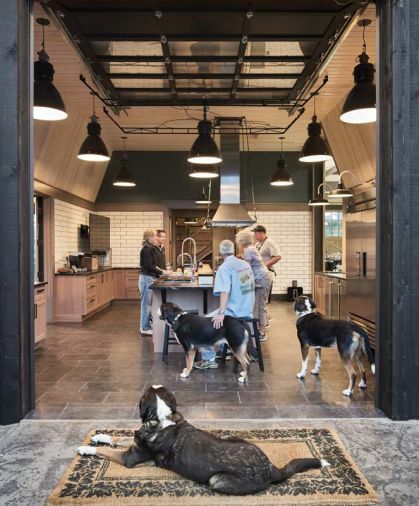 When the project got too big for Tracey and her husband Charlie, they hired SkB Architects of Seattle to design their barn home. 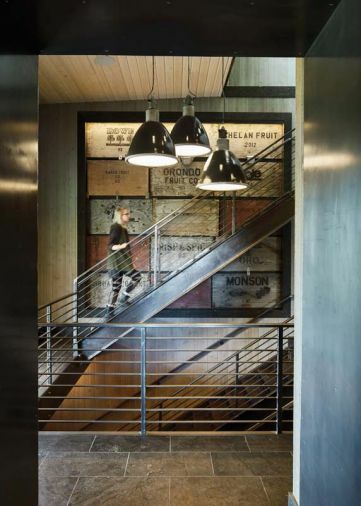 Barnes Welding constructed the three-story steel staircase with wood treads; SkB recommended the vintage apple crate as a unifying element that ties all three levels together. The upper mezzanine steel railing by Strain looks down upon Champ’s 10’ concrete and polished stainless steel logo that’s embedded in the colorized concrete floor in browns, tans and reds. The massive logo is impervious to heavy forklift traffic. 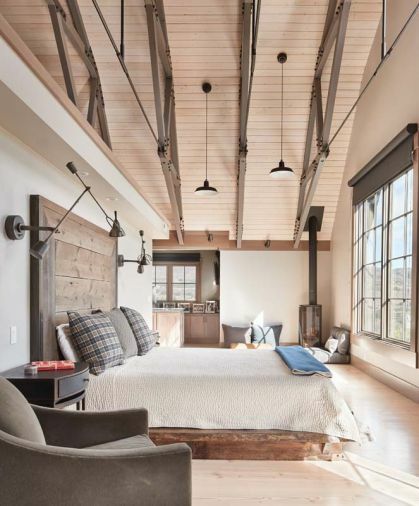 Twenty four backlit, exposed wooden trusses held up with powder coated steel brackets continue the industrial design style. Charlie, contractor Sam Beazley of Beazley Construction, and Pedro Valdez, Beazley’s lead carpenter, tackled the wine cellar design. 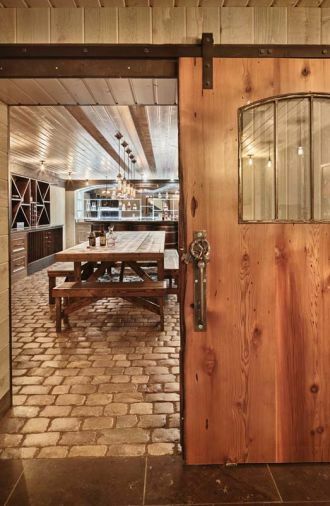 To create a more rustic look, they used imported split sanded cobblestones - once used as ballast in ships sailing to Colonial America - as the flooring. The Browns’ dog Champ surveys the team in the industrial kitchen. 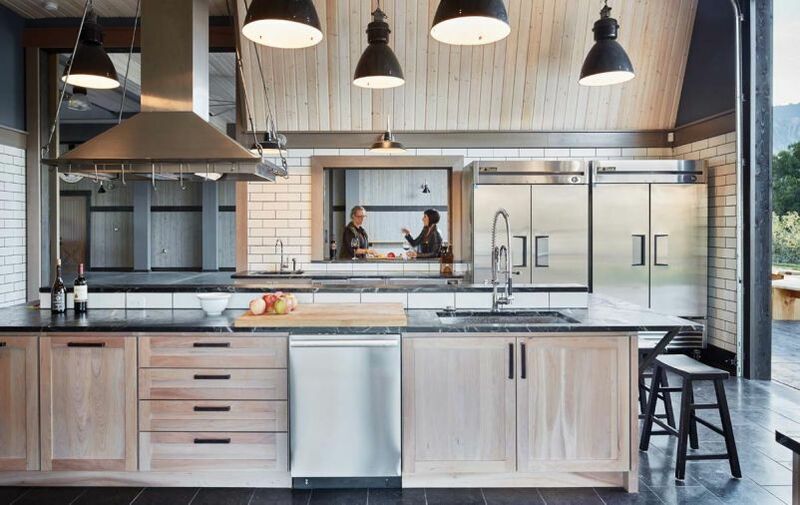 The commercial kitchen features industrial pendant lamps imported from Europe, a professional wood burning Mugnaini pizza oven, Perlick refrigerator drawers, wine and beverage coolers. 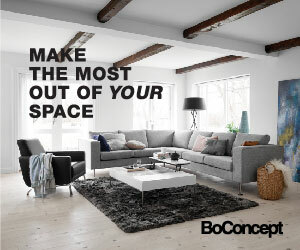 Four access points encourage an even flow of guests. Contractor Beazley is also known for his BBQ expertise. 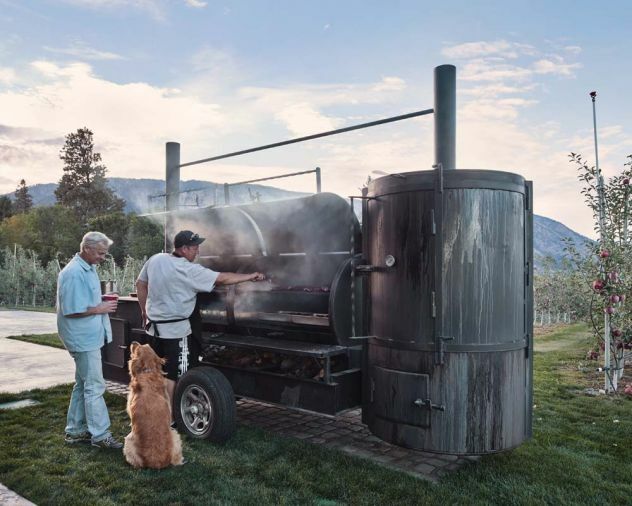 He houses his spectacular smoker at the barn which is used often when the barn plays host to weddings and community events for the fire department, VFW, and Manson High School sports teams. 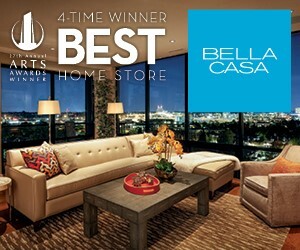 Valdez, who did a lot of the finish carpentry, built the custom master bed from imported European wood remnants. The master bedroom view overlooks the orchard. 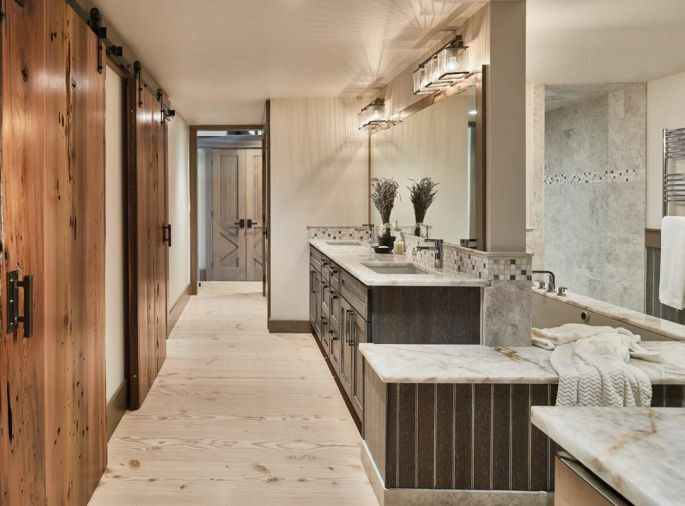 The master bathroom features rare quartz slab countertops, dark stained oak cabinets, with white glaze beadboard and hydronic heated floors. 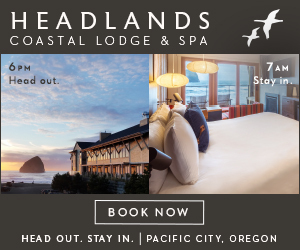 After the Browns migrated from Seattle to Manson, Washington, on Lake Chelan - they purchased 12 acres of nearby land for an apple orchard and barn they christened “Champion Orchards” after their beloved dog Champ, logo and all. 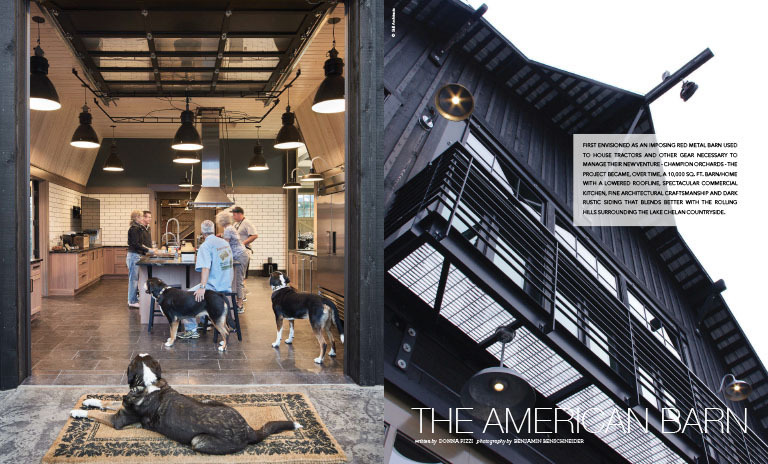 Because Tracy had been taking pictures of barns all her life, the couple used them and the internet to work out the barn dimensions, a floor plan and gabled roofline. 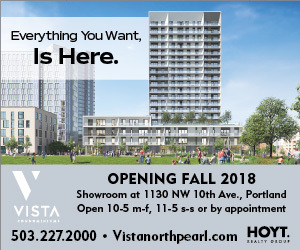 When the project got too big, they hired SkB Architects of Seattle - Kyle and Shannon Gaffney, two of the co-founding partners, who were the lead designers on the project with Russell Blazier as design assist and project architect. 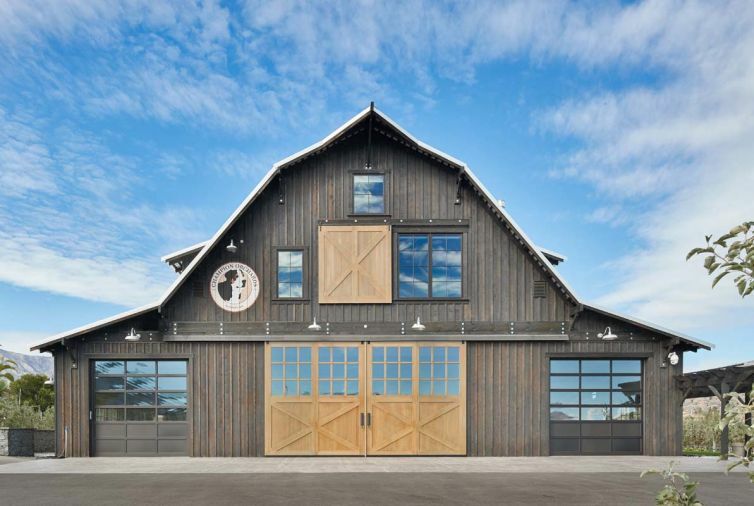 A pair of double carriage doors open up the barn toward the orchard on one side and the mountains and lake on the other. Sam Beazley of Beazley Construction spent hours finding a way to weatherproof the 1400 lb carriage doors. “We used a C channel to cap the bottom of the doors and welded a piece of flat stock steel to the bottom of the C channel that protruded down two inches into a channel poured in the concrete. Much of the raw steel was finished with Penetrol and then coated with paste wax to prevent rust,” he says. 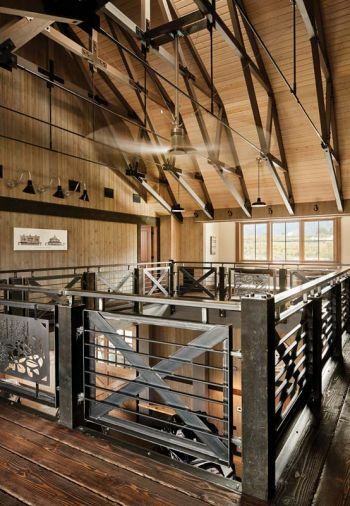 To create all the wood and American steel elements in the barn was often challenging. Barnes Welding, known for such massive commercial jobs as the Cooley Dam, brought in heavy lifts to install the big pieces of steel for the staircase. 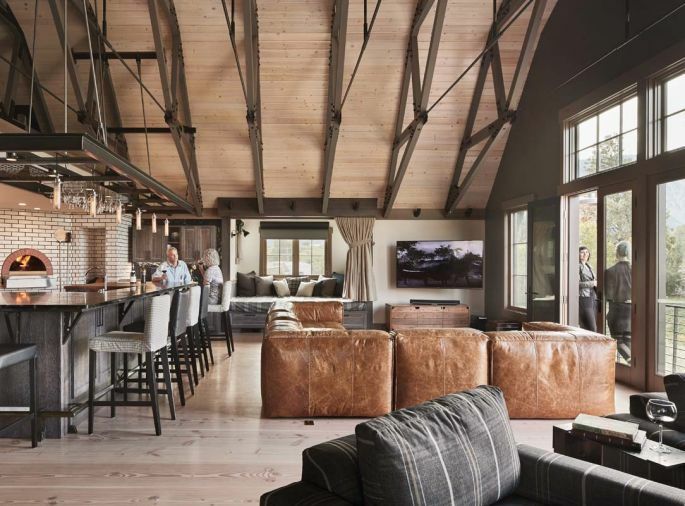 The original goal to button up the roof before winter 2013, was delayed first by the installation of the big beams and later by the design dilemmas involved in creating 24 custom trusses. 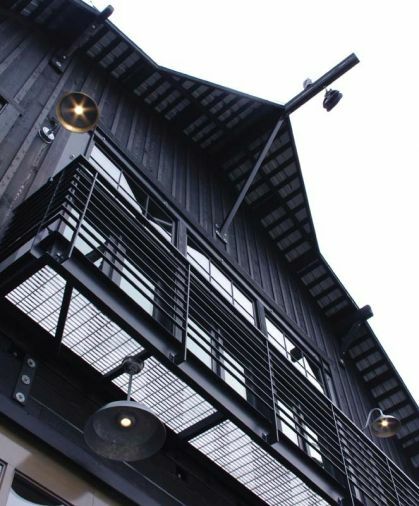 Greg Cowell of One Construction in Chelan began the work on the trusses in October, which included intricate black hardware and powder coated steel brackets all of which contribute to the feeling of one being in a religious sanctuary suitable for holding weddings - five in all thus far. Thanks to the lack of snow that year, the job was completed by early January 2014. “We had no rain or snow until January 15th, 2014,” says Charlie, who points to the 48 lights mounted on the large beams that illuminate the entire ceiling, along with its complex construction.